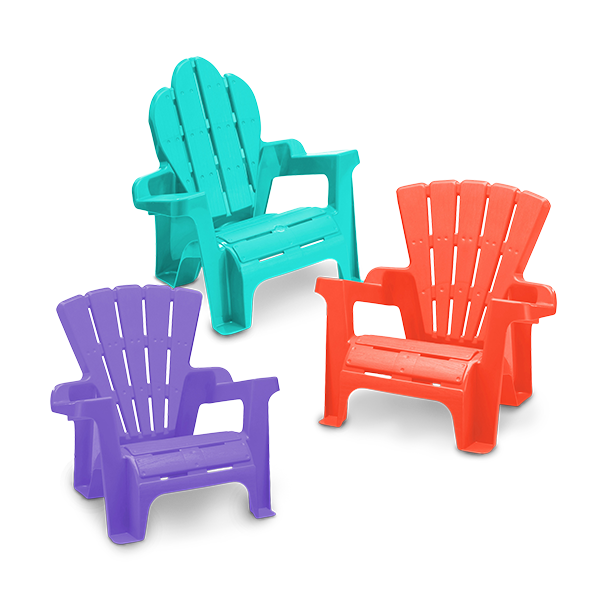 ADIRONDACK CHAIR ASSORTMENT | American Plastic Toys Inc. Kids can now have their very own colorful, Adirondack-style chair. They are stackable for easy storage and great for indoor or outdoor use. Packed in assorted colors.